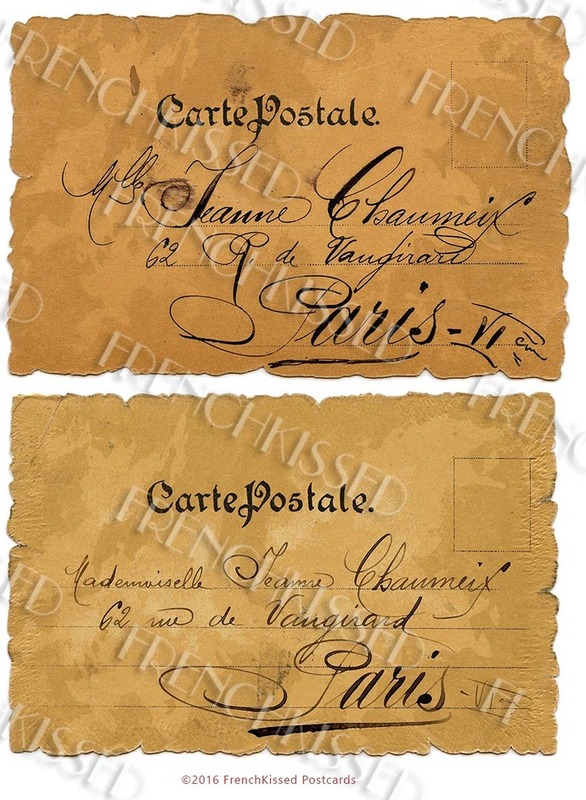 Here is some beautiful French script in all its authentic antique glory, smudged ink and all. I have combined these two scans into one digital download, about 5.5 by 8 inches. The fronts of the cards are listed separately.